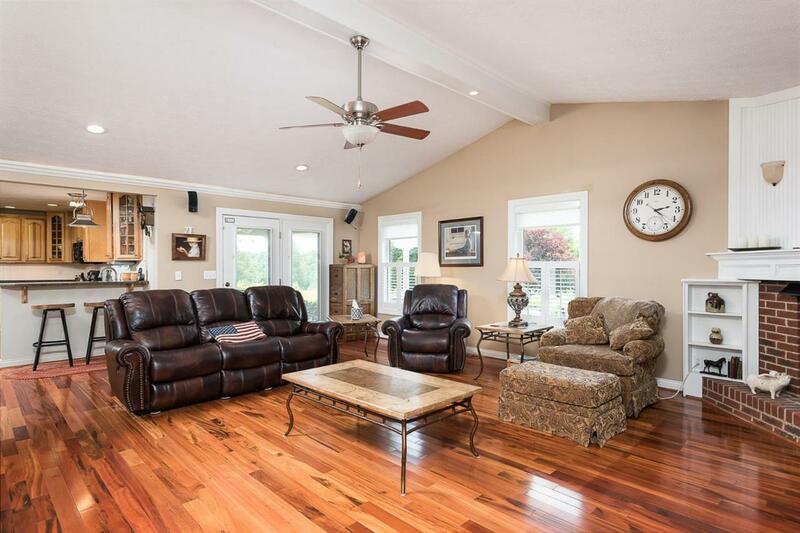 Beautiful 3,000+ SQ FT ranch on a basement sitting on 5 acres of land, just minutes from town. 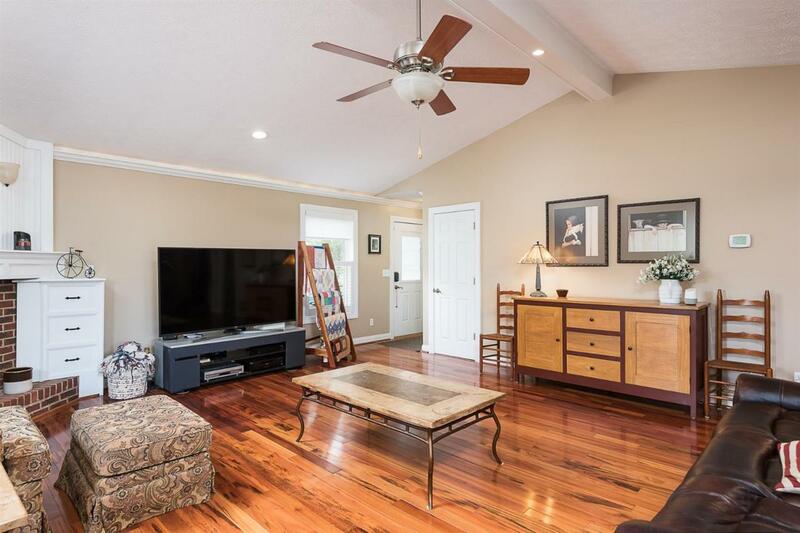 This home is move-in ready and has all the finishes you are looking for including gorgeous hardwood flooring & crown molding. 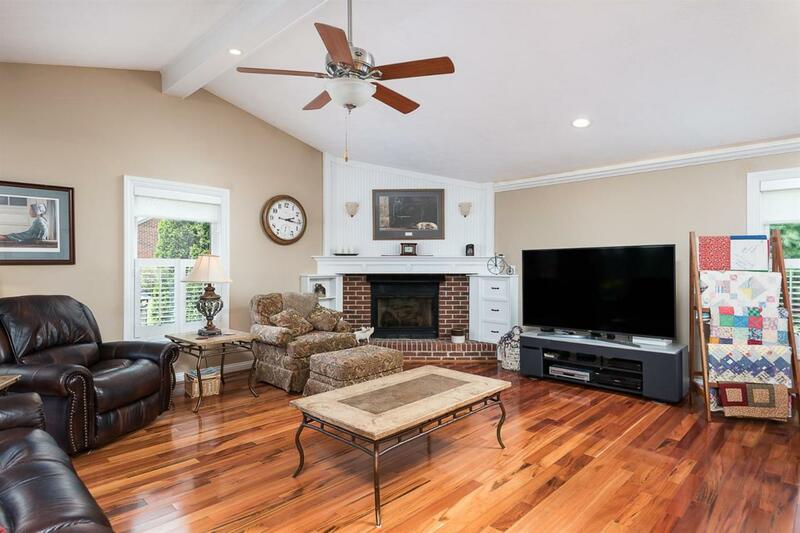 Large Great Room boasts vaulted ceiling and fireplace. Wonderful chef's kitchen has stunning cabinetry, granite counters, stainless steel appliances, a large pantry, and space for a home office. Master Suite is huge with a recently remodeled, modern-style bathroom with gorgeous finishes, including freestanding tub, and tiled, walk-in, glass shower. Two additional bedrooms are nice size. Basement has large rec room and tons of unfinished storage space. Enjoy the outdoors on the covered patio or check out the brick patio & pergola. Property also has a 720 SQ FT detached workshop (completely finished with HVAC) with a 1-car garage, in addition to a big storage building. 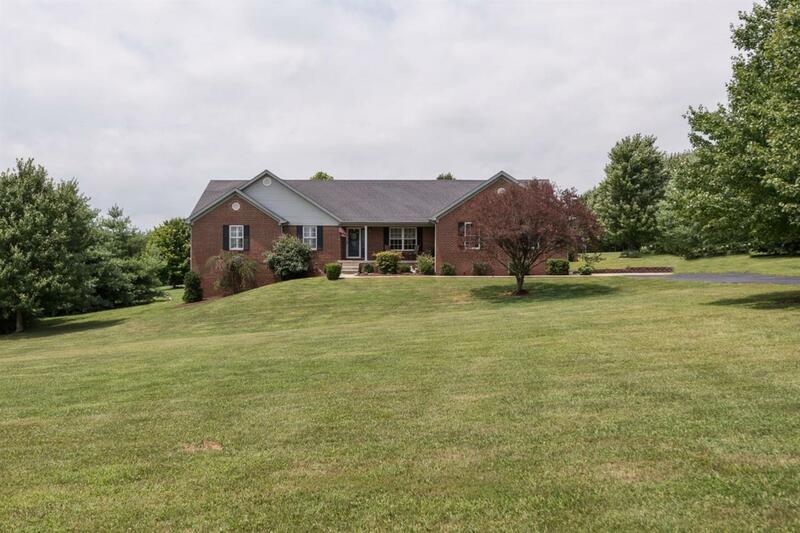 Seller is licensed real estate agent in state of Kentucky.